I’m going to shed a lot of tears when these two hang up their sneakers. 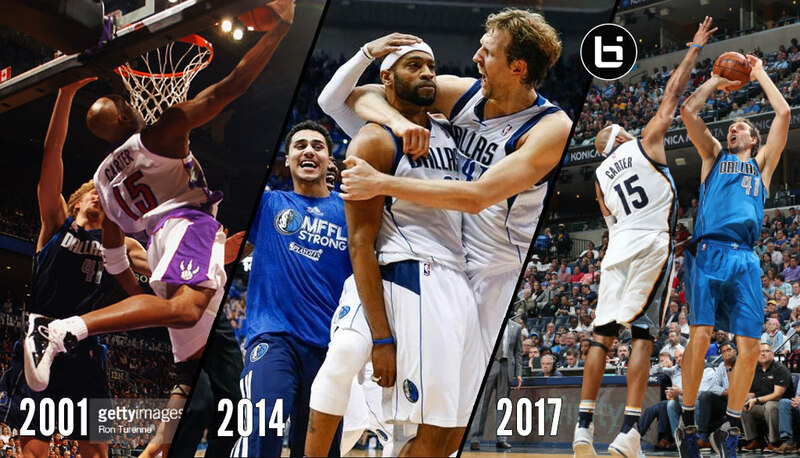 Besides fellow 1998 draft pick Paul Pierce, 40-year old Vince Carter and 38-year old Dirk Nowitzki are the last of the great players from my generation. Unlike Pierce, the two former teammates (2011-2014) are still putting up big games and numbers for their teams in 2017. 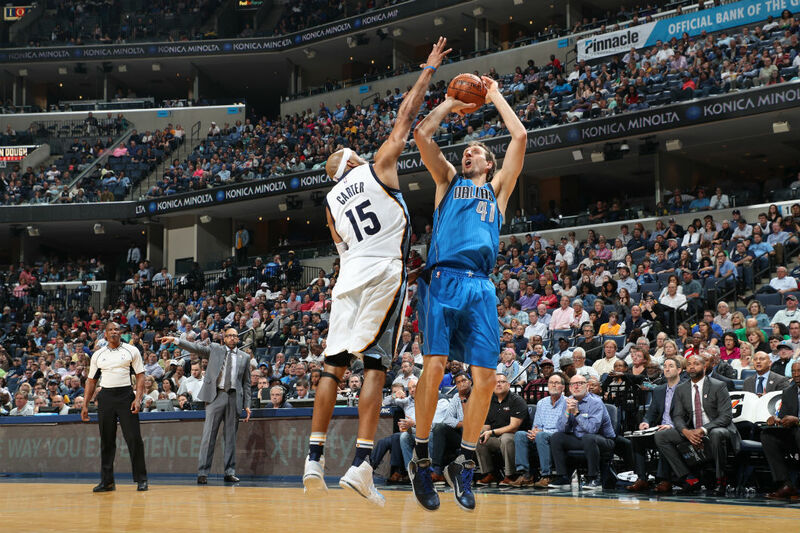 Neither could throw a rock in the ocean on Friday night — Carter was 1 for 7 and Dirk 3 for 17 — but both were productive: Dirk had 12 boards to go with his 13 points and Vince had 8 boards, five assists and one very memorable block that caused me to spend the next 30 minutes rewatching my favorite Vince & Dirk moments with and against each other. Before we get into those memories, did you know that the Raptors once rejected a trade that would have sent Dirk and Steve Nash to Toronto for Carter and Antonio Davis? It might sound like a steal for Toronto now but back in the Vinsantiy days, Carter was one of the best, most exciting and marketable athletes in the world. I’m not even sure a straight-up Kobe for Vince trade would have made GM Glen Grunwald say “yes.” And I don’t blame him.